Our elite collection of eyeshadow and eyebrow brushes precisely deliver pigment and offer expert definition for boldly defined brows and eyeshadow. Each unique eyeshadow and brow brush offers a different function, contouring, shaping, defining, layering and applying for smooth and perfect makeup application. 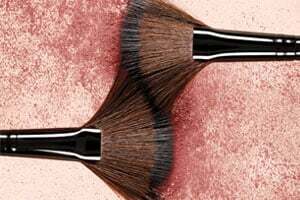 Whether you need to line, camouflage, smudge, apply in the crease, create a smoky eye, allover color, or apply crème or powder formulations, eyeshadow and brow brushes are the ultimate way to ensure a flawless, statement eye look with each and every application.